If you’re a small business that has a brick-and-mortar store, it’s imperative that you take advantage of the local SEO listings that Google provides in its search engine results pages (SERPS). While you are not guaranteed a specific spot in Google’s local citations for SEO, utilizing these online business directories will ensure that your business has a chance at being found. According to The SEO Expert, “citation services serve as the foundation of local search.” Be sure to consistently use the same address and phone number across all of the different citations for SEO that are available. 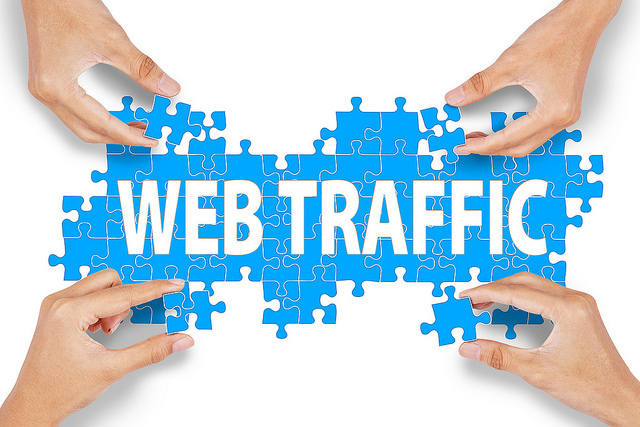 You can also help accelerate the amount of website traffic that goes to your site by strategically building incoming links and using on-page search engine optimization. By taking each separate page of your site and optimizing it for specific keywords, it will help guide Google’s robots so that they can accurately list each page for potential visitors. You should view strategic SEO as a foundation for your website that pays off year after year. As you optimize specific pages for popular keywords, it brings in targeted traffic via longtail keywords. Those visitors will purchase your services or products and increase your revenue. A quick way to boost the traffic levels to your site is by running a few PPC campaigns. When you target keywords that are related to your products, it immediately generates traffic. Over time, you’ll want to optimize your ads and offers so that it increases your sales and reduces the amount that you have to spend on clicks. Having a competition or giveaway is another great way to increase the traffic to your website and increase your revenues. When visitors come to your website after being enticed by a giveaway that you are holding, they may browse your products and make a purchase. Track these type of offers so that you can understand how much they benefit your bottom line. When you implement any of these five strategies, you will see a difference in the revenues that you keep.